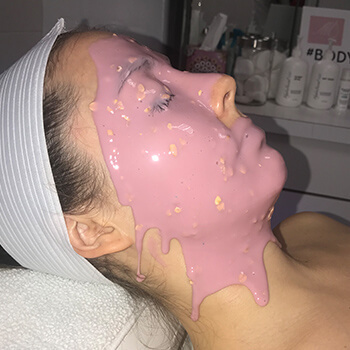 A truly bespoke facial tailored to your skin’s needs. 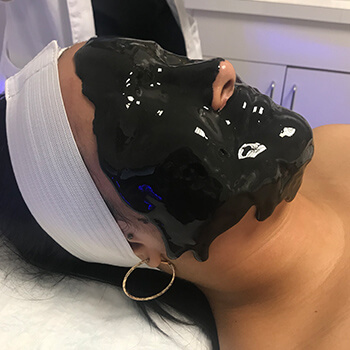 Real measurable results delivered with the beauty and relaxation of a spa facial and the science and technical precision of an advanced skin care treatment to reveal radiant healthy skin. Your facial is as unique as you are. Mastering the art of fusing various products, each treatment is designed exclusively to match your particular skin type and condition. Which means that you can relax, safe in the knowledge that you and your skin is receiving the very best in our hands. 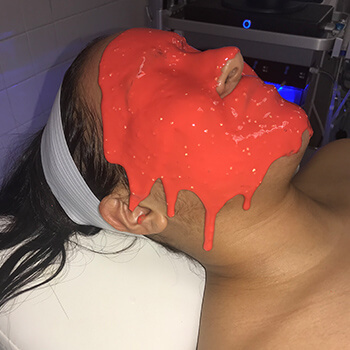 Dermaplaning, or Dermablading, once an aesthetic trade secret in the modeling industry, is a safe, non-invasive professional exfoliation treatment that removes vellus hair (commonly referred to as “peach fuzz”), and the superficial layer of dead skin. The vellus hair on the face tends to collect dirt and excess oil in the follicle. Over time this can cause blackheads and will invade facial pores. Regular removal is an excellent anti-aging/anti-blemish treatment as it keeps pores free of excess oil while simultaneously preventing premature wrinkles. 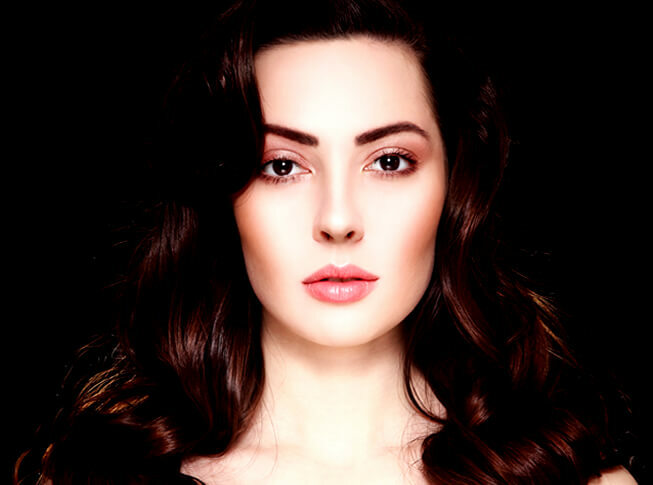 Our highly trained medical aesthetician will glide a sterile surgical blade over the skin with a delicate touch and skilled approach that reveals instant brightening of the complexion and an overall youthful glow. Those with dry skin or rough skin texture will benefit greatly from this technique – as will those with superficial acne scarring or an uneven skin tone. Dermaplaning is great on its own or can be coupled with our Skinceuticals® Chemical Peels, Microneedling or the HydraFacial MD for optimum results. A back facial uses the same effective facial cleansing solution on your back to create a clear complexion. A back facial is an effective back acne treatment that can remove dry or damaged skin in 1 simple treatment. Casmara face masks can revitalize your complexion and protect your skin against free radicals. 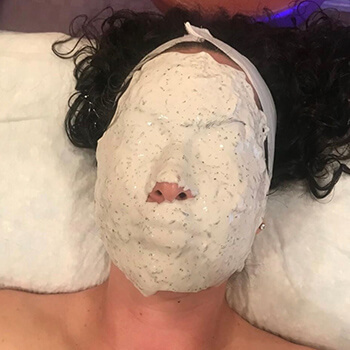 These modeling masks combine mineral substances, healing extracts, and natural ingredients to restore and maintain radiant skin. Casmara masks can firm, relax, moisturize, and illuminate your complexion while also protecting your skin from environmental aggressors. Suitable for multiple skin types, Casmara facial masks can also reduce the prominence of facial aging and calm inflammation. Improves hydration, reduces the appearance of fine lines and wrinkles, evens skin tone and hyperpigmentation. Provides smoother and softer appearance of acneic skin. Helps to treat current acne and prevent future breakouts. Customizable chemical peel targeting hyperpigmentation to dramatically improve the uneven appearance of photo damaged and/or mottled skin. Increases skin glow and radiance. Tightens skin, resotres a more youthful appearance. Also known as the “Red Carpet Look” Peel. Improves pigmentation abnormalaities, post-inflammatory hyperpigmentation, melasma and photo damage. Series of 3 recommended. Smooth the appearace of fine lines and wrinkles. See noticeable improvement after just one peel and compelling results after three to six peels. Brow tinting is a vegetable-based tint that can be applied to eyelashes or brows in order to create darker lashes and brows. Darker eyelashes and brows can provide a fuller appearance to your eyelashes. Xtreme lashes® can provide beautifully fuller, thicker eyelashes in 1 simple procedure. Xtreme lashes® come in a set of 40 lashes per eye. For more dramatic eyelashes, a set of 50-60 lashes is recommended. For the most glamorous results, a set of 60 lashes are suggested.